ANYWAY, I bet you’re all thinking… why is Kayleigh already talking about spring?! Christmas hasn’t even passed yet but I can assure you it will come around so so quickly! I can’t believe Christmas is already in 13 days, this year has gone super super quick. So I thought today that I would talk about this beautiful shade, that is perfect for the Spring time. 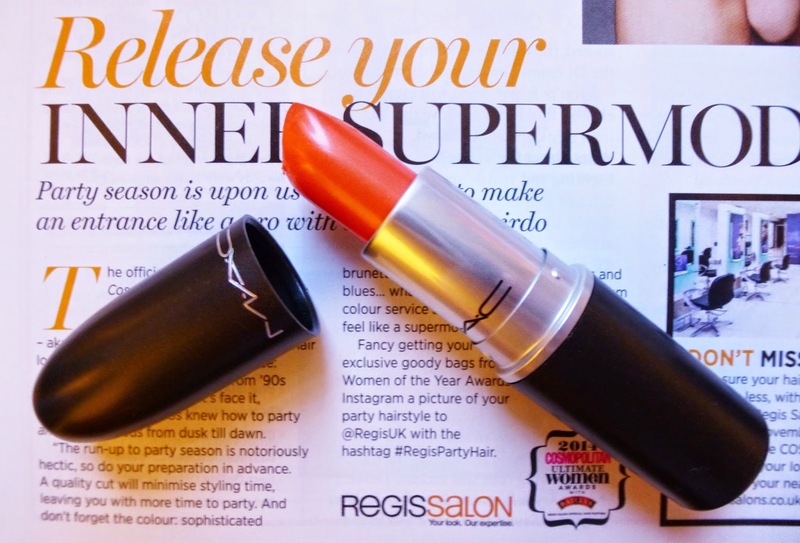 MAC Saigon Summer is a beautiful shade of Orange. 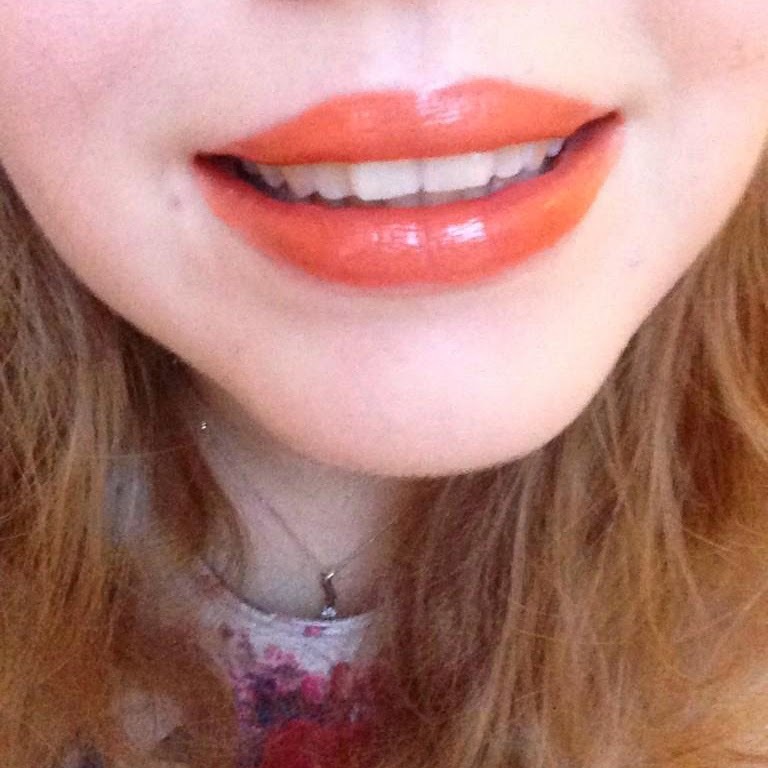 I have always been intrigued in orange lipsticks, but have been a bit scared to try them. (This one looks seriously seriously scary when it is in the ‘tube’, but it swatches on so much different!) I guess its kind of ‘quirky’. But I took the plunge, and I don’t regret it! So this is what it looks like on! Not so scary eh? I think Saigon Summer is a perfect colour for people to try out, if they wish to experiment for the first time with an orange lip, it isn’t as bright / intimidating as Morange, I would call it a ‘safe’ orange. It has little shimmering kind of gold bits in, but they don’t show up don’t worry! In terms of pigment, I think you have pretty good control with this shade, I could have made it brighter, but this is how I like to wear it! It is gorgeous lipstick, and it doesn’t only have to be in the spring or summer, I have been rocking it this winter! The staying power isn’t brilliant, well it isn’t bad, but when you eat it disappears, probably the same for all cremesheens to be honest haha! But unfortunately you often have to choose between whether you are after staying power, or moisturised lips. I’ve heard that this shade tends to make your lips look slightly yellower than normal, but I am not sure if I have noticed this. I am looking forward to the Spring and wearing this baby a lot more! 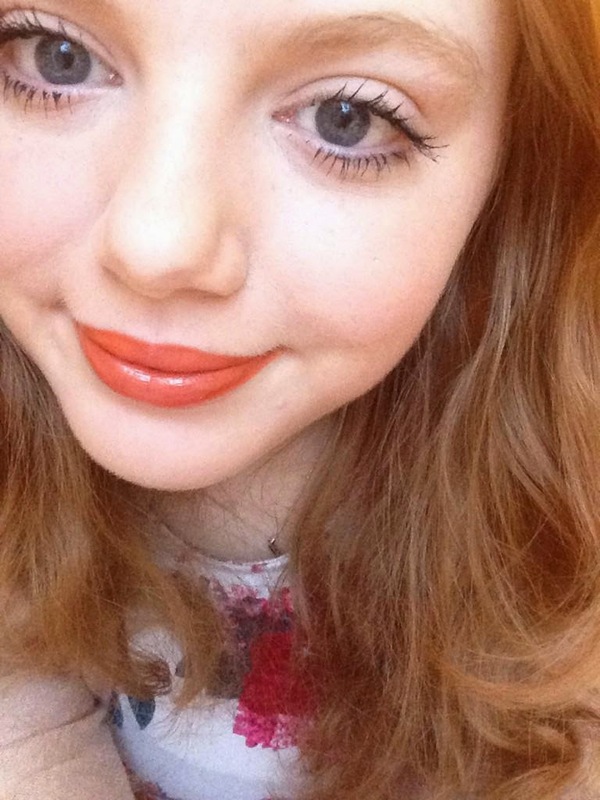 Have you tried any orange lipsticks? Or are you intrigued to like I was…..
“RELEASE YOUR INNER SUPERMODEL” with Saigon Summer. Thanks for reading, Catch you again tomorrow!